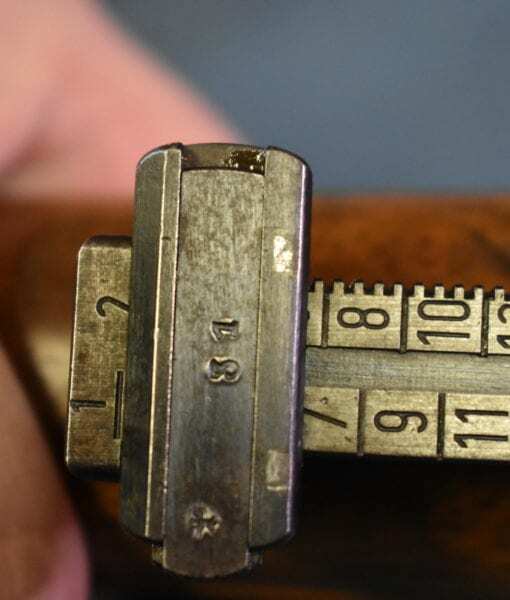 In excellent condition, all matching down to the screws, we have a scarce and hard to find early production 1937 dated J.P. Sauer assembled K98k Service Rifle. 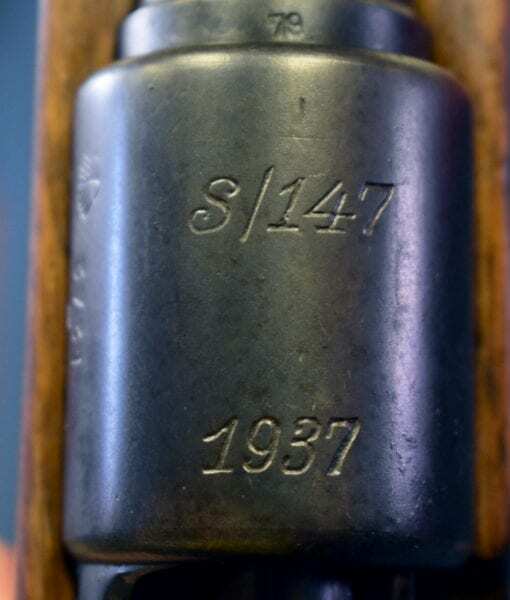 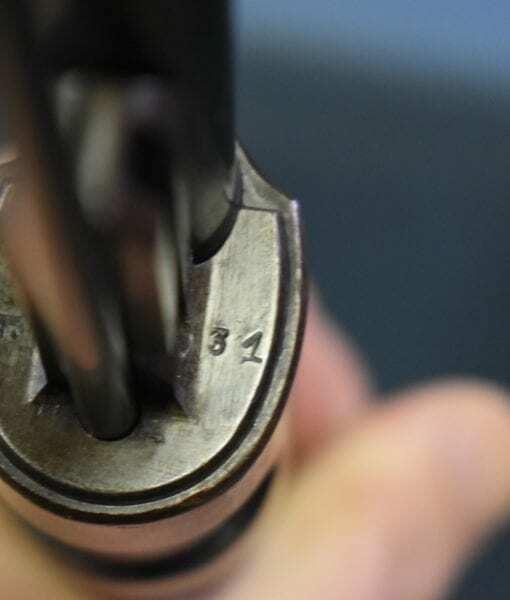 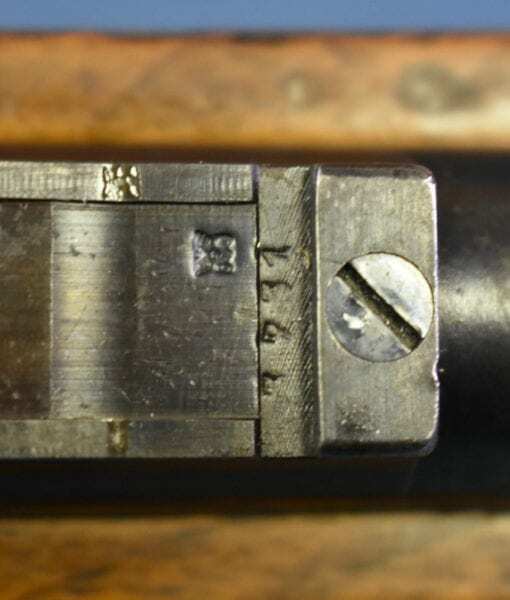 J.P. Sauer was at the top of a pyramid of Suhl Gunmakers who all participated in 98k production. 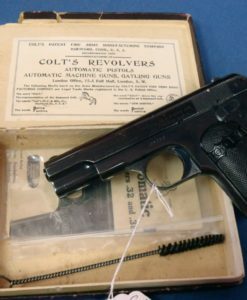 These gun makers provided various parts and the production of some parts and final assembly took Place at the J.P. Sauer Plant. 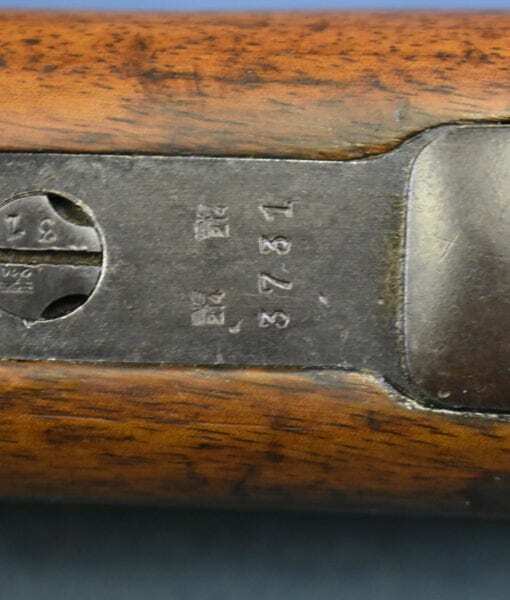 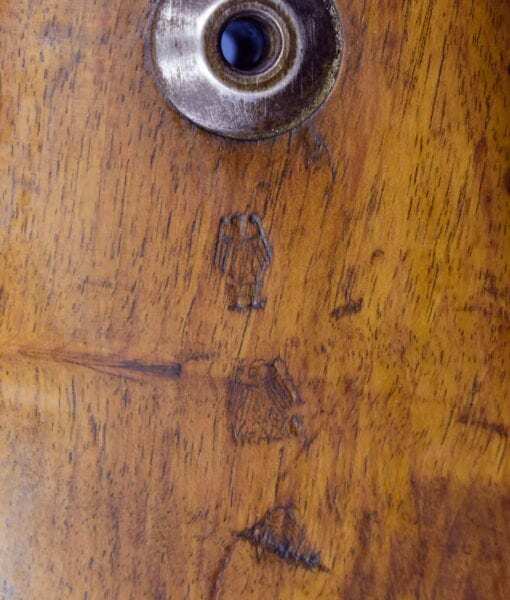 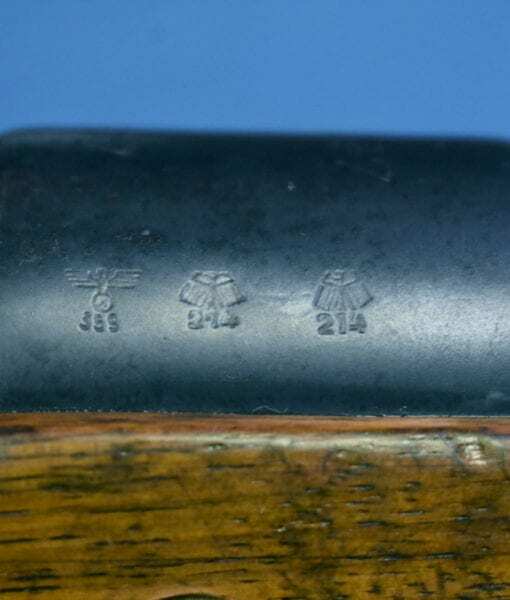 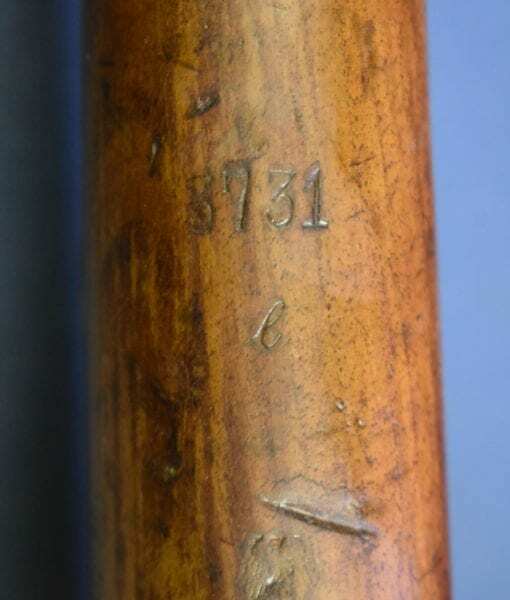 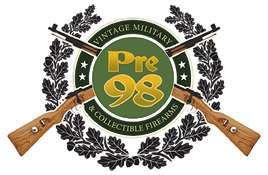 Among collectors Sauer Coded rifles are extremely sought after. 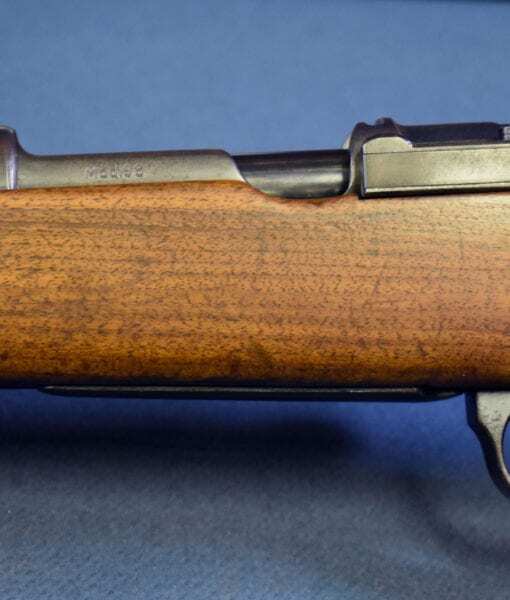 The cartouches on the rifle are quite visible on this attractive light walnut stock. 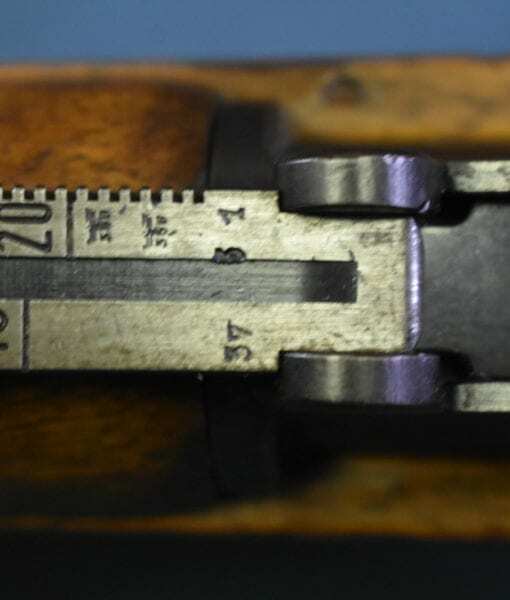 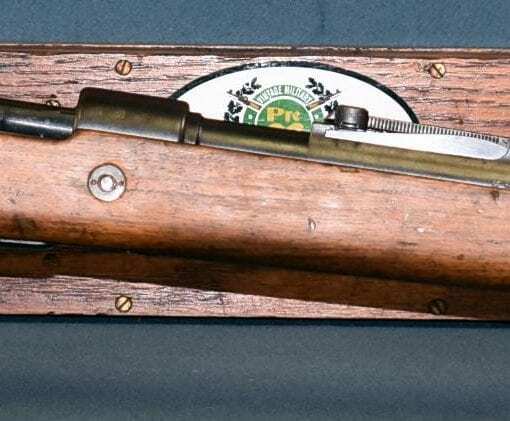 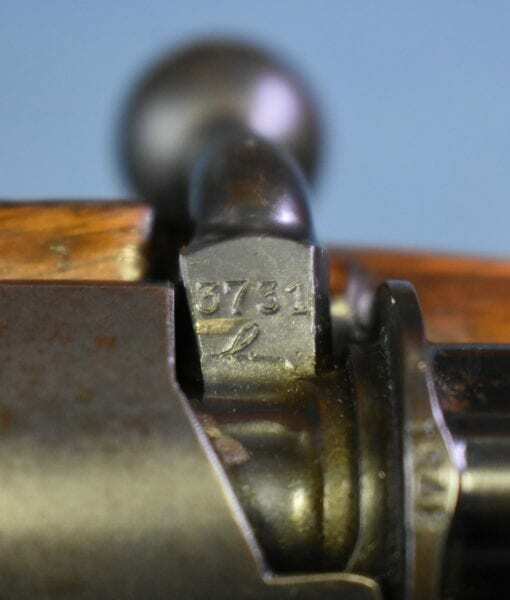 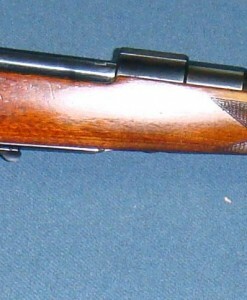 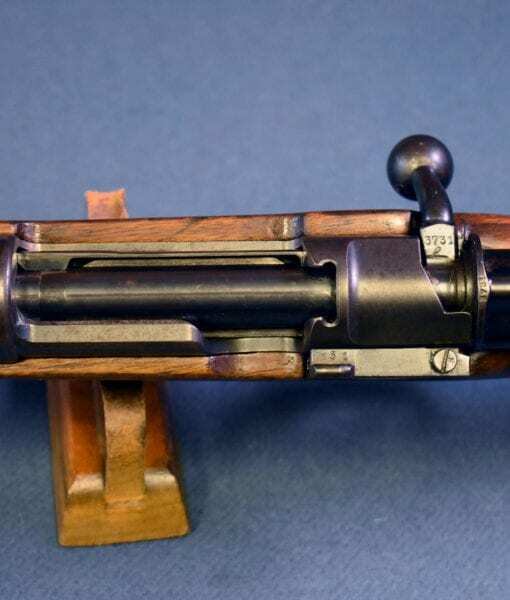 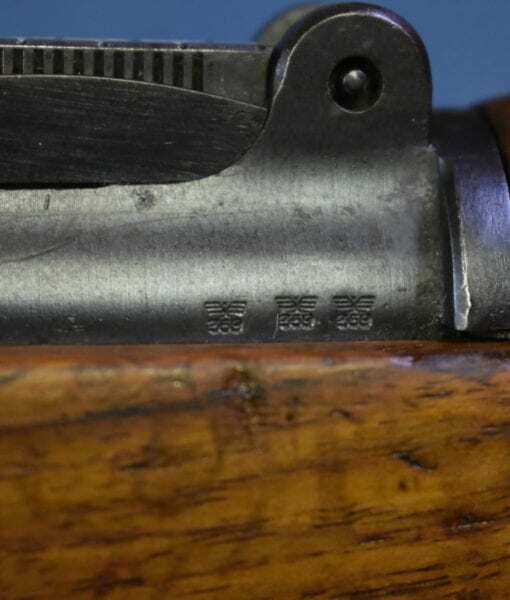 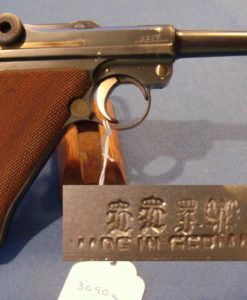 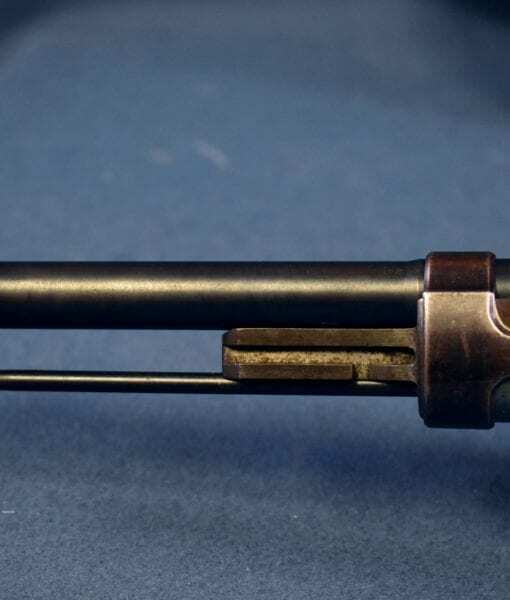 The bore is mint and the rifle is a great example of a very desirable maker early production K98k. 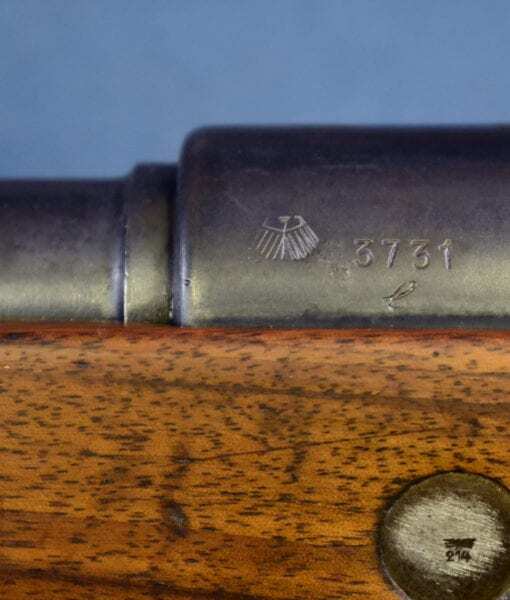 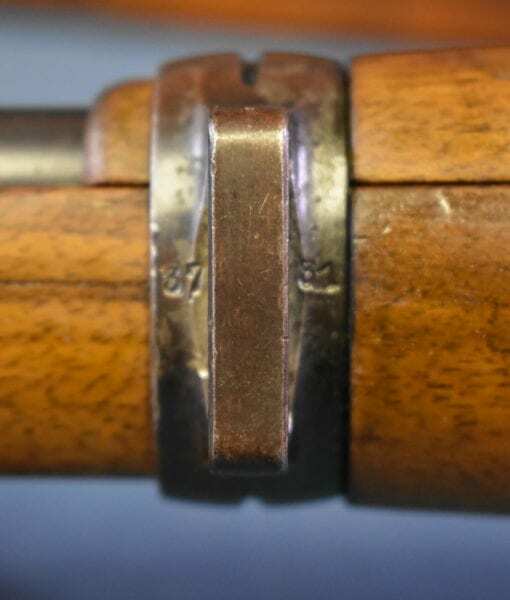 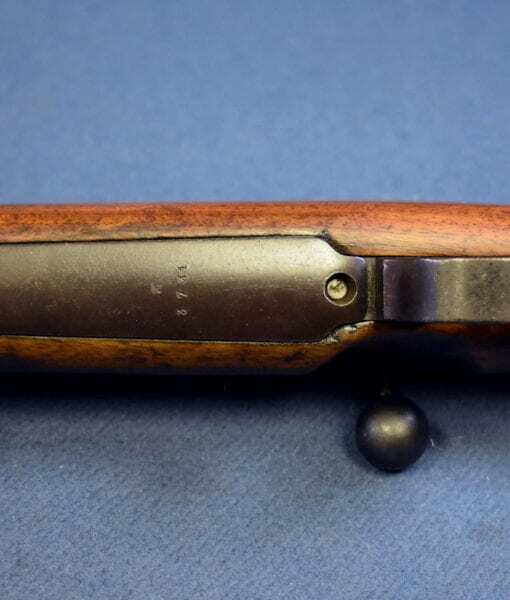 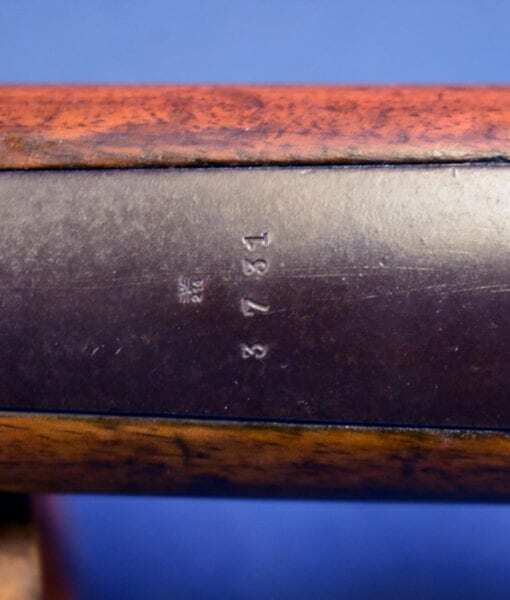 Today, almost all early nice Mauser rifles such as this are tightly held in collections are rarely surface for sale and this is right out of our private reserve stock. 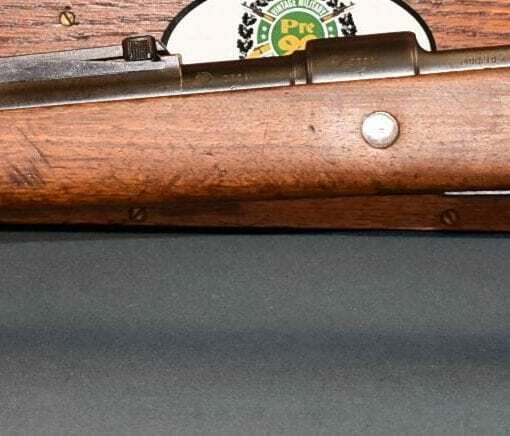 When you ponder the fact that this rifle was around since 1937, you realize that it was in action through out the war, it may have been through the invasion of Poland or France, it may have seen action with the Afrika Corps. 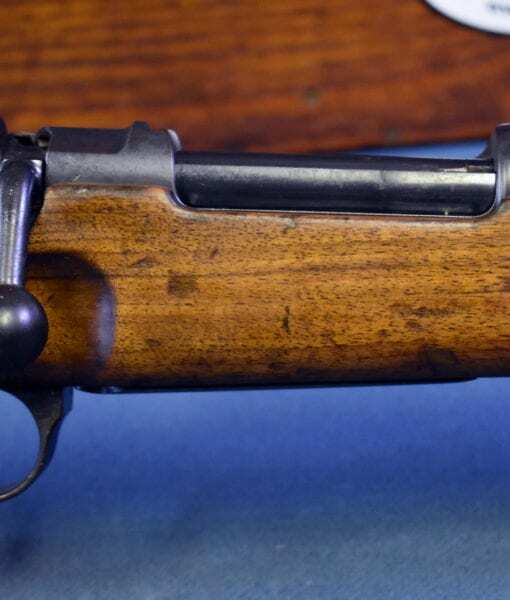 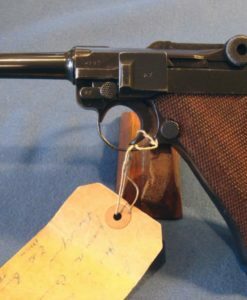 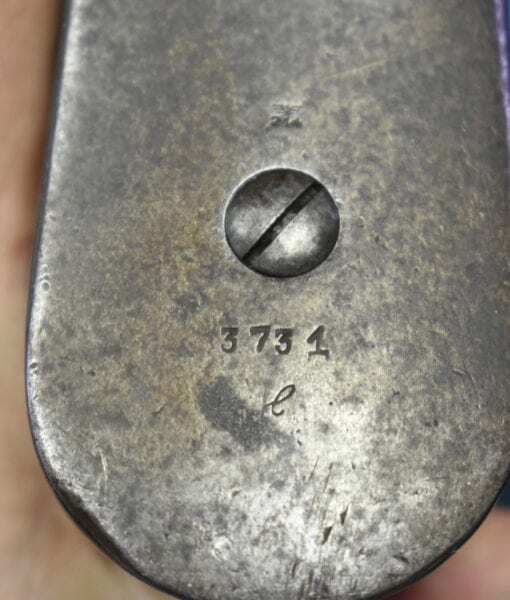 The history that this rifle saw makes it a very important memento of WW2.